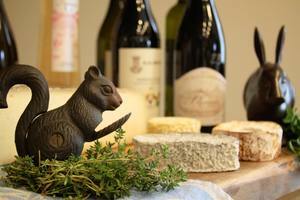 Happy spring from your friends at 109 Cheese and Wine! It's time to order your Easter platters from 109! Visit the shop tomorrow, Saturday, March 23 for a wine tasting (it's Rose o'clock at 109) and shop for your holiday faves. But, wait - before Easter comes March Madness! 109 is stocked with cheesy winners! Come on in, place your order online, or call 203-438-5757 to order your Easter platters. You are also welcome to bring 109 your platters and they can make them look beautiful for you and your family to enjoy.